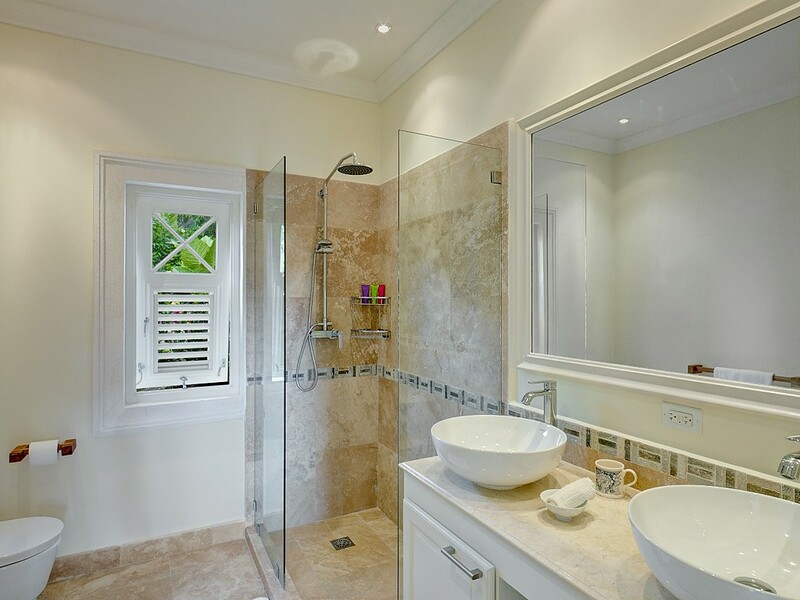 Within a private community in one of the most exclusive areas of Barbados, Villa Greentails Residence One is close to Sion Hills, Turtleback Ridge and Mahogany Park. 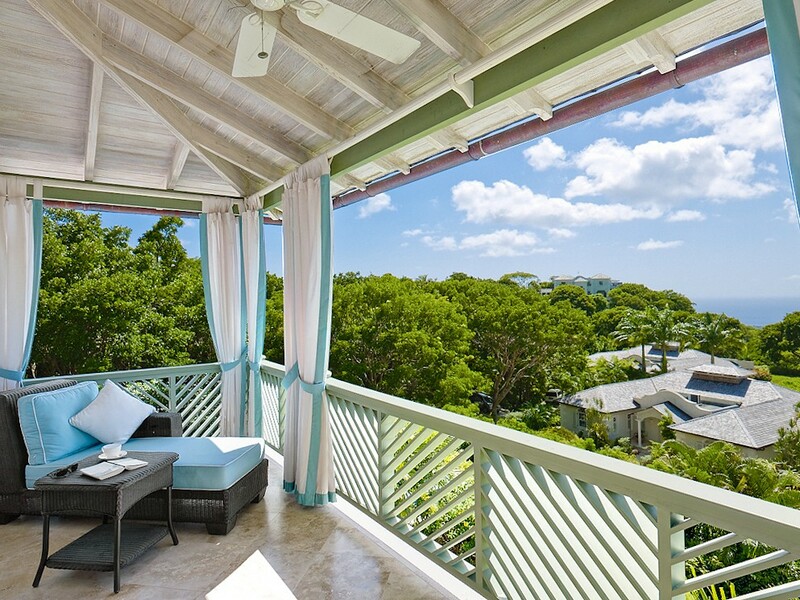 Comprised of five villas and two residences, the community is remarkably private and ensures a relaxing location for an idyllic Caribbean escape. 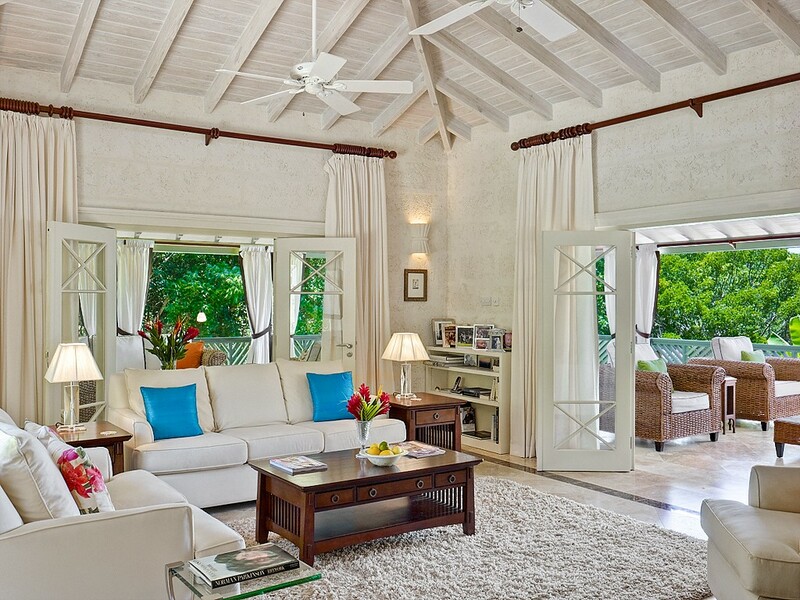 This villa is a two-story property with an attached cottage that contains four roomy bedrooms. 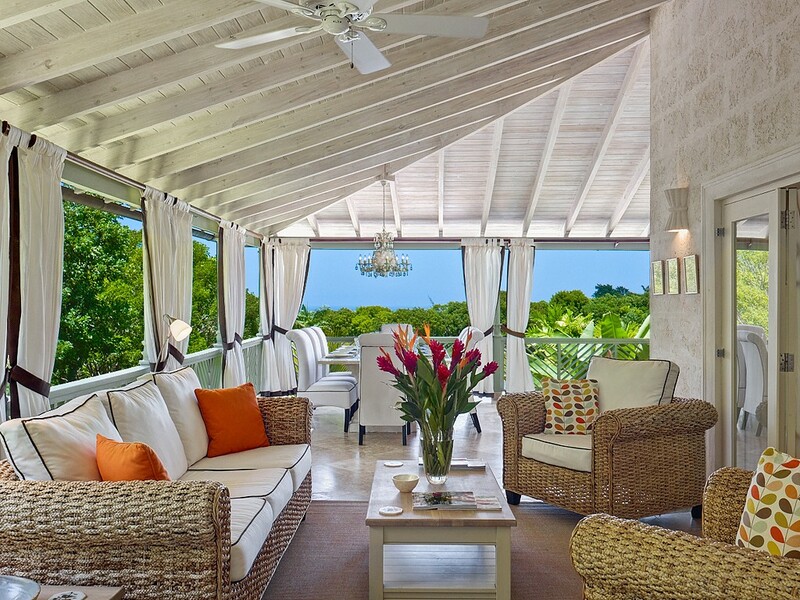 Offering the perfect balance between indoor and outdoor spaces, visitors will never feel as if they are truly indoors. 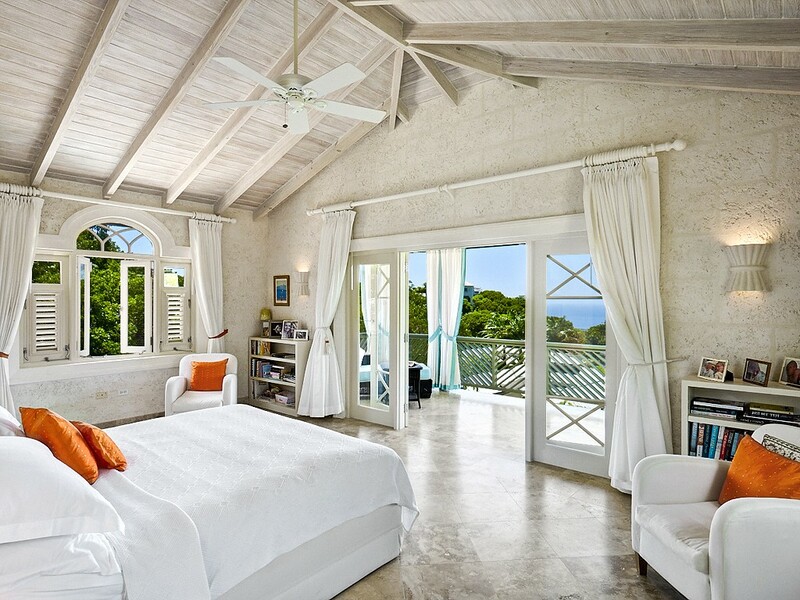 The sea breezes make their way in through the large doors and windows, and the orientation of the villa provides the best views imaginable. 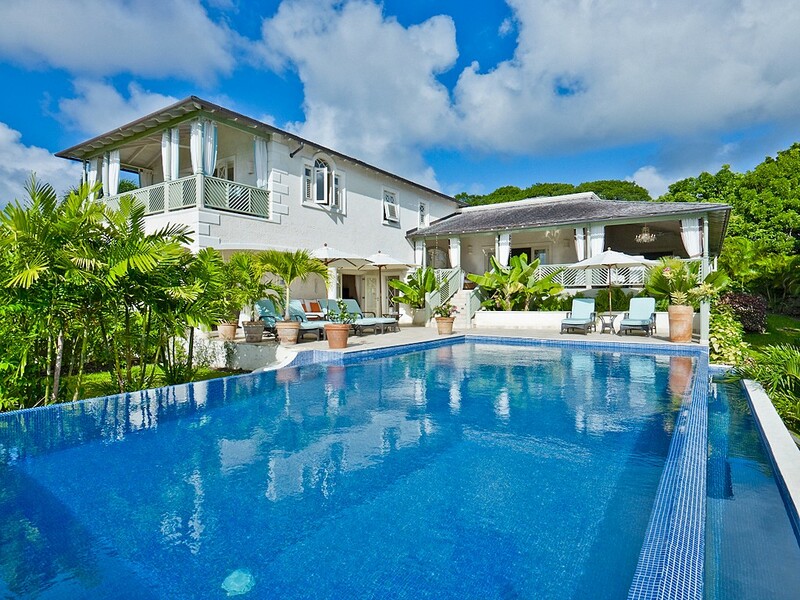 Because the property is tucked into several acres of gardens, the pool terrace is framed by palms and swaying trees. 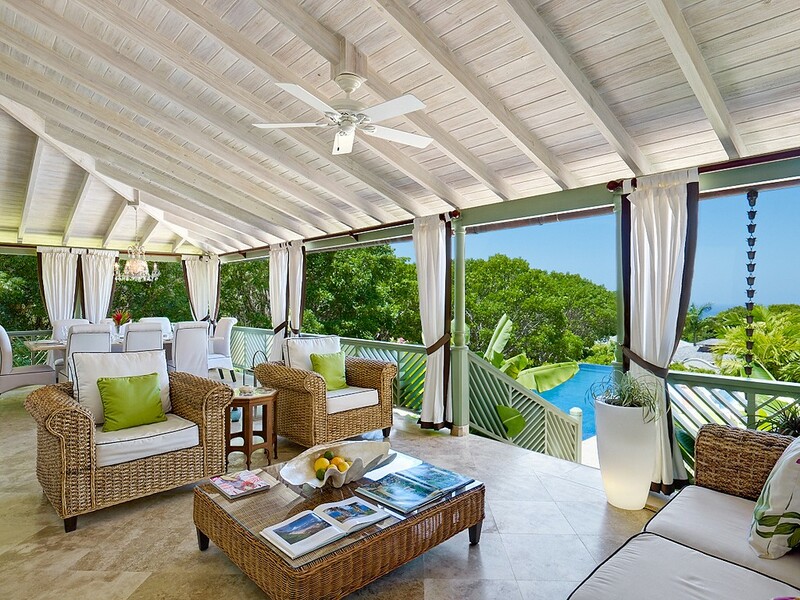 Luxuriously sized sun beds surround the infinity edge pool, and it is just a few steps to the gardens or back to the covered terrace. Beneath the pickled wood of the high ceilinged terrace area, large rattan sofas and chairs make for hours of conversation, cocktails or coffee. 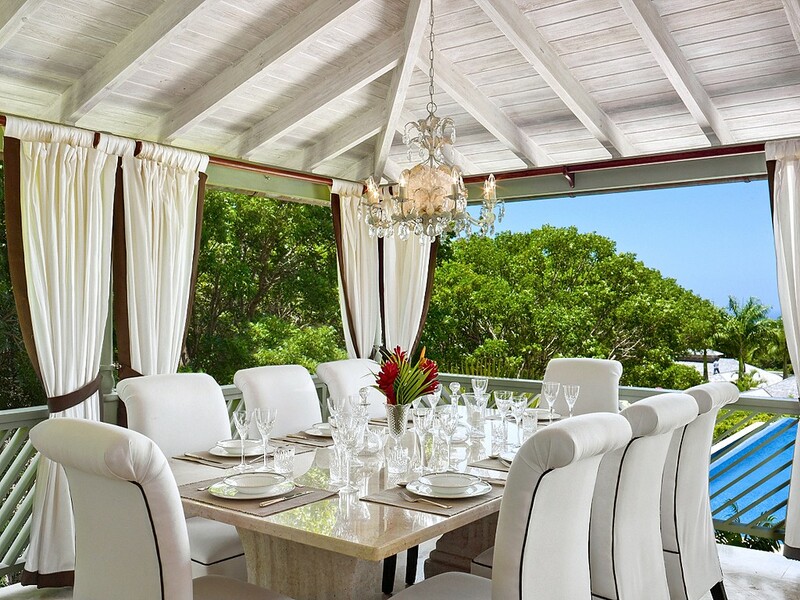 A formal al fresco dining area will let you enjoy the setting at any meal. Just in from the terrace, the airy and large living room provides a wonderful respite from the sun, or the ideal place for late night games or movies. The gourmet kitchen is here as well, and will satisfy even the most discerning cooks, though you can also book a chef to do some meal preparation if you wish. 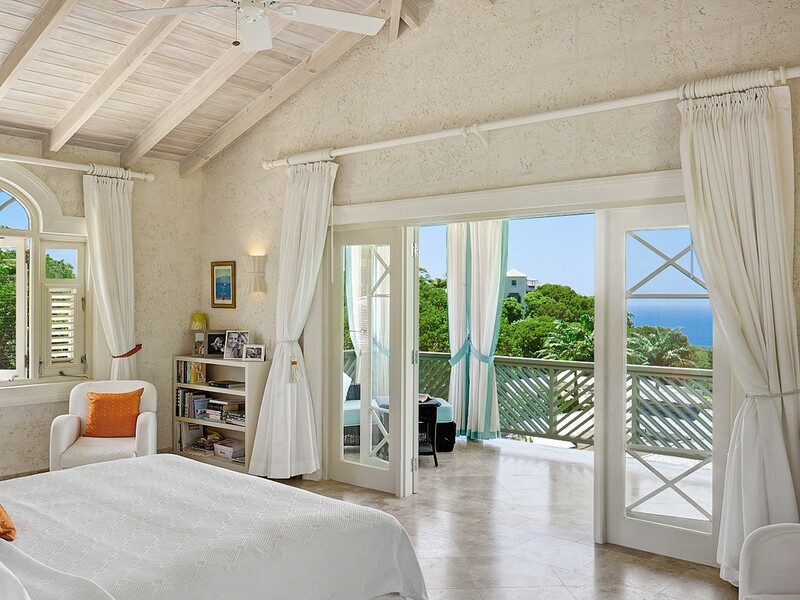 There are four bedrooms, and two are at the lowest level with direct access to the pool terrace. The master suite comprises the entire first floor and features a sitting room, king bed, private balcony, and enormous en suite bathroom. 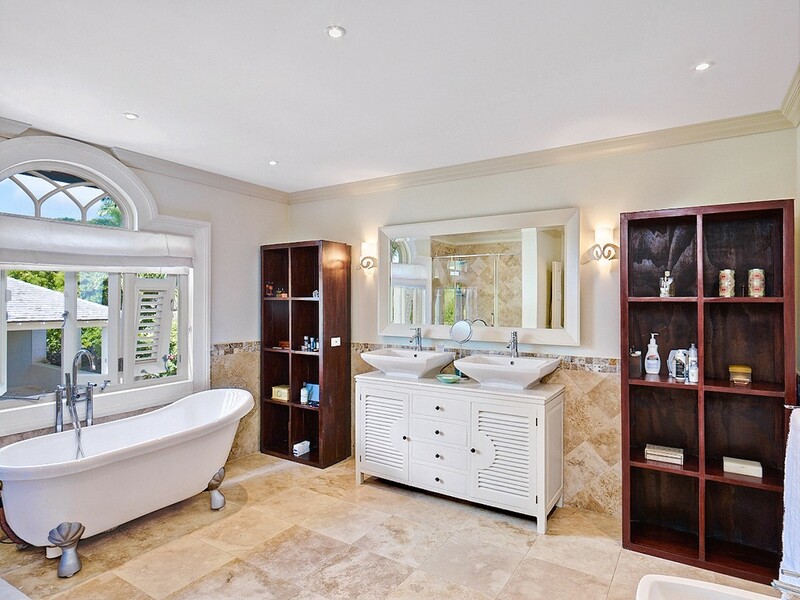 The fourth bedroom is in the cottage, and it too is en suite. 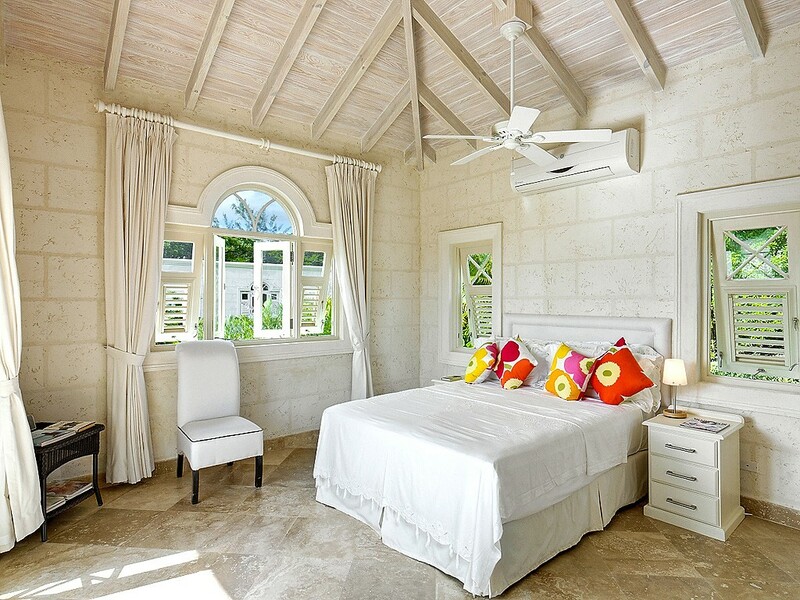 Luxury, convenience, beauty and comfort are yours when you book your stay at the lovely Villa Greentails Residence One.